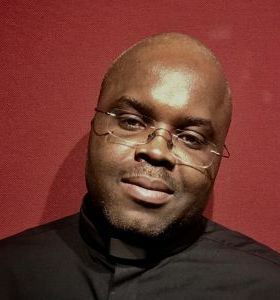 Fr (Dr) Anthony Uche OP, born Nigerian, was ordained in 2005 for the Order of Preachers (Dominicans), worked at St Jude Catholic Church, Mafoluku, Lagos, Nigeria for four years, and studied Developmental Psychology at the University of Lagos, Canon Law and Philosophy at the Angelicum, Rome, and Canonical Jurisprudence at the Gregorian University, Rome. Fr Anthony came to the Archdiocese of Southwark and the team of priests at St Peter's in 2016, through the support of our Parish Priest, Fr Michael Branch. He invokes God blessing on you whether you are a parishioner or a visitor.